Another perfect day to be snowshoeing along the Peak-to-Peak Highway. This morning we drove to Beaver Reservoir which sits half way between Brainard Lake and Peaceful Valley. The trailhead lies two miles down County Road 96, which is marked on Hwy 72 by a sign for the Tahosa Boy Scout Camp. The trail crosses the road about a quarter mile before the reservoir. We simply parked on the side of the road. We started out southbound on the Sourdough Trail. The trail was a bit hard to spot among new growth aspen and evergreen. We turned around on a ridge after nearly a half mile because the snow was fading and the trail just wasn’t very pretty. This was a good call as we discovered the northbound trail to be absolutely gorgeous. We might have known since there were no tracks southbound but several northbound. We found ourselves shedding gear under the warm sun. Despite the strong wind on the road, the trail was quiet. We were able to cover 2.32 miles in about 90 minutes. 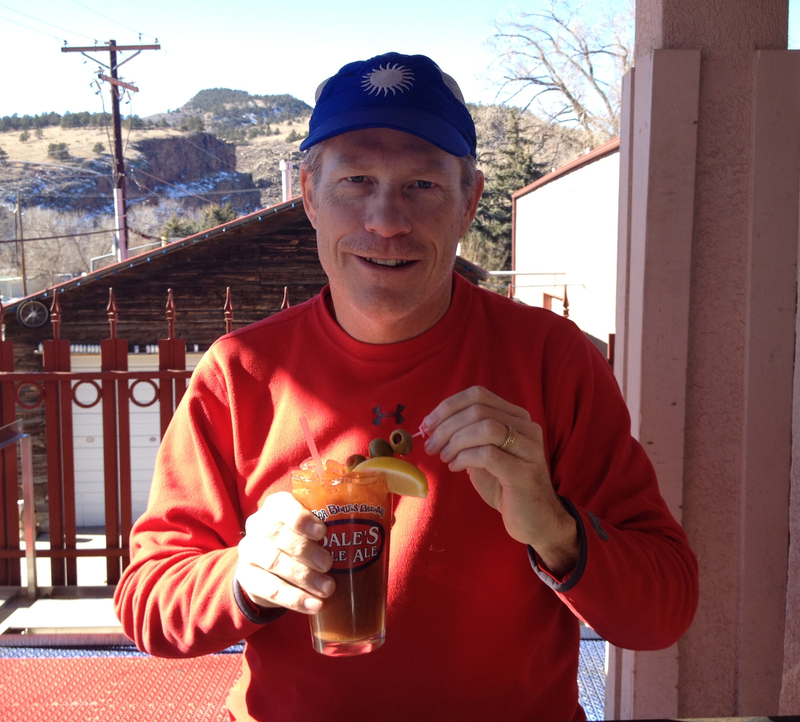 We skipped the Millsite Inn this trip and lunched at Oscar Blues in Lyons. The weather was so nice we ate outside on the deck. 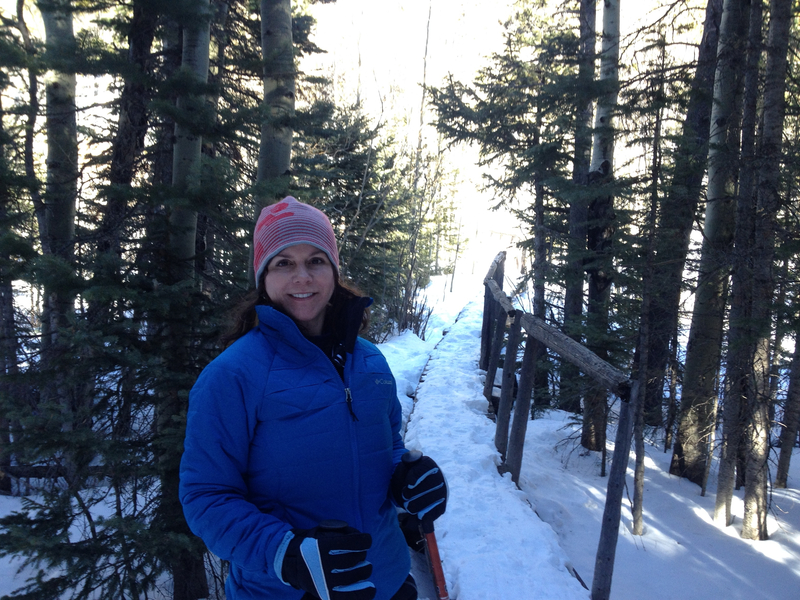 This marks our third consecutive weekend to snowshoe. 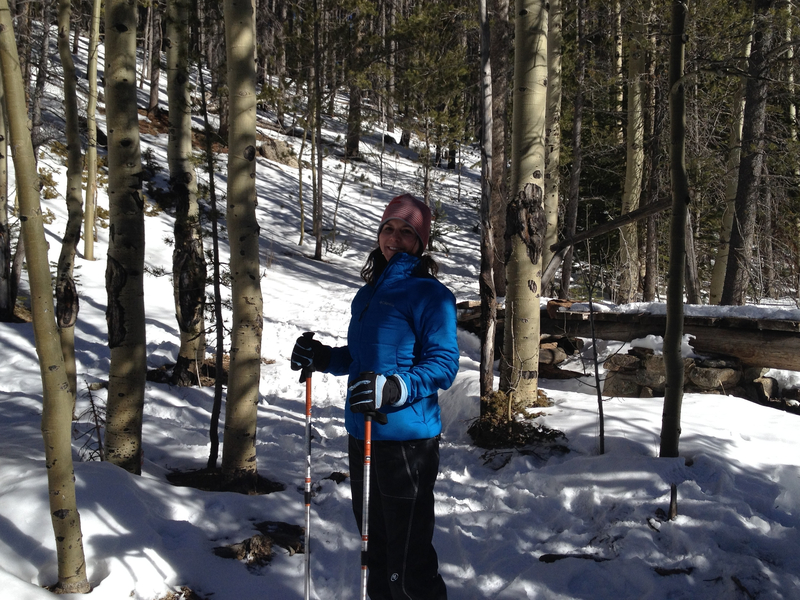 We hope to squeeze in a couple more jaunts through the woods and snow before I head to Austin. 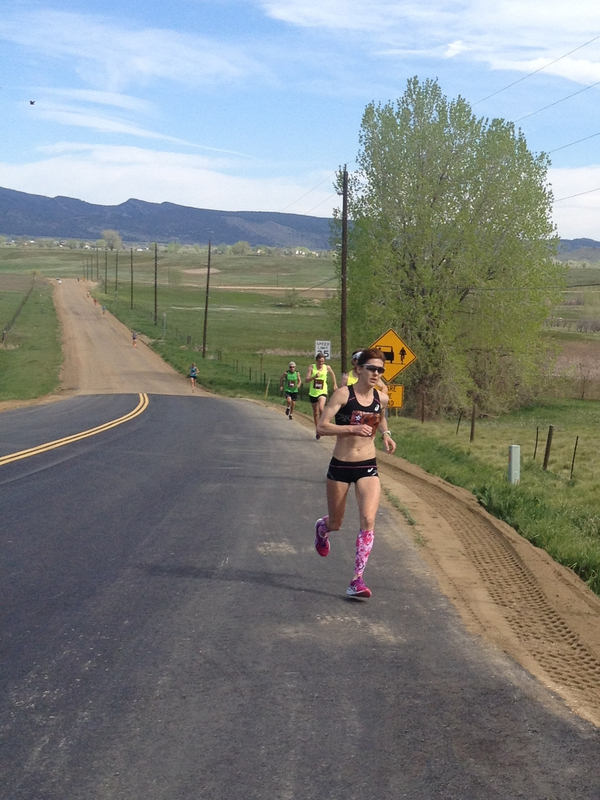 This really is ideal training for a marathon. Tomorrow I have a four mile cross country race in Boulder. Ellie plans to run it too.